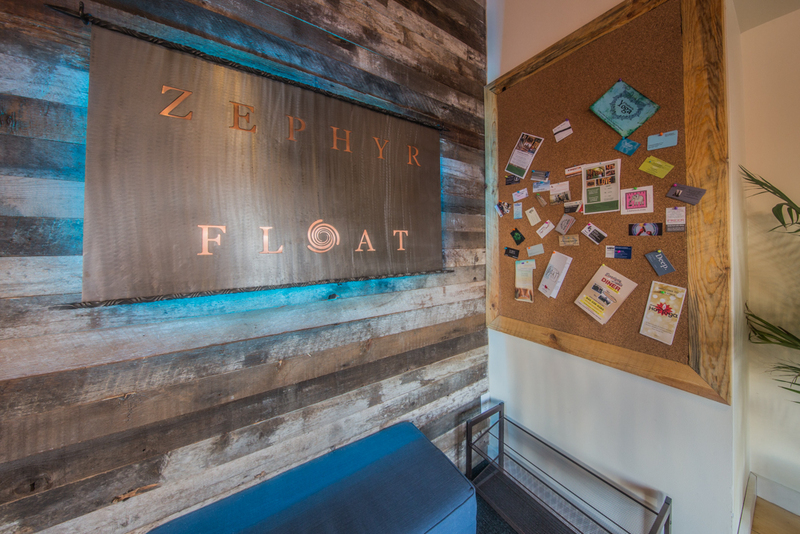 In an effort to turn my lens on some of the newer, modern things going on in Ulster County, I decided to visit Zephyr Float Spa. My initial plan was just to learn about what "Floating" is and to take a few photos of it all. I made sure to know as little as possible about it before I visited. 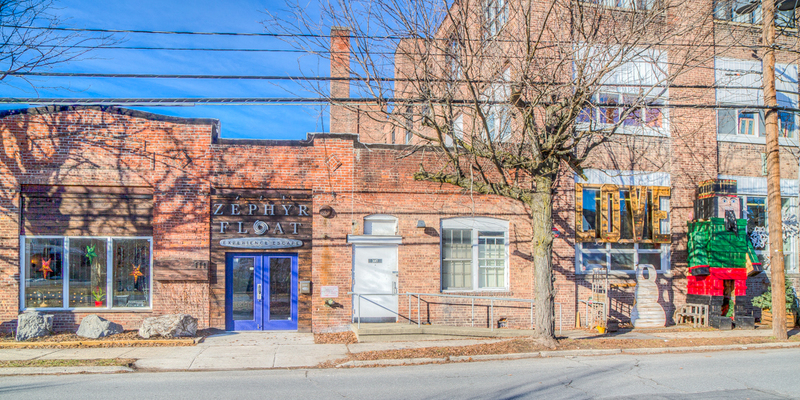 It is on the sort of street that I've driven on in Kingston countless times in my life, and never paid attention to. I had been told that Olga was the name of the owner, and would like to be there for my visit. Only after I had scheduled it did I find out that it was Olga Schoonmaker of Tillson, who I've known a bit through my photography goings on for a few years. Turns out Olga's husband Ryan co-owns it with her, and he's not always there, but was that day, which was great, as he is someone I've talked with before and we had some funny memories of being vendors next to each-other at the Rosendale Street Festival. I enjoyed sitting and chatting with them about various things. One thing that Olga did was tell me more about what "floating" is. Another term for it is going into a "sensory deprivation" chamber. You float in a chamber or 10 inches of water and 1000 pounds of epsom salt, with no light or sound, and the idea is that it frees up your mind to not have to focus on any external stimuli...not even the process of staying balanced, sitting in a chair, etc. Olga decided to check the schedule of appointments, and offered for me to try a float service. I had to check this out! Below is part of Olga's demonstration of the process, and ways to do it comfortably. Then I was left on my own. No bathing suits or anything like that allowed in the tank. Gotta shower first too. Time to open the tank door and head on in for the next hour of my life. It was quite an interesting experience. I think I will try it again some time. Afterwards I took a few more pics of the inside of the spa, and some of Olga and Ryan.